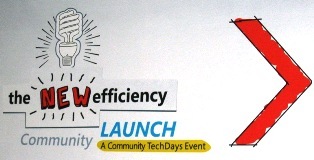 Most of you know that, we had the Community TechDays happening here in Bangalore last weekend. I was one of speaker in the event. I had a session on managing the OS images effectively with DISM – Windows 7. In this session, I discussed on what all the DISM tool can do, which were the tools that it replaced, its Commands, Architecture, providers and options. I am really glad that, this session was well accepted by the attendees. Most of them had asked for the slide deck to be shared. I thought creating How-to articles would make more sense than sharing the slide deck! Deployment Image Servicing & Management (DISM) is a new command line tool which was introduced in Windows 7 for deployment. DISM can be used to service a Window image or to prepare a Windows Pre-installation Environment (Windows PE) image. DISM also supports more features and functionality than the other tools (Package Manager) supported in Windows Vista, including logging, inventory commands with parse-able output, detailed help, offline INF driver package installation, direct application of MS update packages, and integration of international settings. These how-to articles on DISM will help you understand what DISM tools can do, which were the tools it replaced, its Commands, Architecture and options. Special Thanks to my fellow MVP, Rhonda Layfield who helped me while preparing for this session; and also for throwing in a lot of positive energy from across the world in hopes that my demos will run smoothly.! As mentioned earlier, people who had attended my session(online and in-person) can complete this survey (http://tinyurl.com/STEP190) and be lucky to win a TechNet Subscription. (only 3 would be picked). This is from the Springboard Series Panel Expert Program! Kindly let me know, if you have any questions or comments! Posted in Community Activities, Events, Microsoft, Windows Installer, Application Compatibility and Deployments and tagged Deployment, DISM, image, Windows 7. Bookmark the permalink. Awesome step-by-step guide for anyone trying to use DISM. Reminds me of my first programming book “Let us C” by Yashwant Kanetkar. No assumptions about the intelligence levels of the audience. Altogether good work. Thanks a lot Guys..! I am glad that, this was useful.! hi vijay did u uploaded the photos to flickr album?